Cowlin Street is a short, north-south street located in the Manor Subdivision near Route 14 and Route 31. Although the street itself is small, the family named “Cowlin” has made a big impact on the Crystal Lake community. The Cowlin family traces its Crystal Lake beginnings to Henry and Sarah Lye who came to Crystal Lake in 1855, and were related to Sarah Leadley. Born in 1869 in North Allerton, Yorkshire, England, William Cowlin came to the United States in 1891. He started out as a farmer, but then later became a butcher. On August 12, 1892, he married Sarah Leadley, who came from Hull, England. The couple had two children, a daughter Katherine, who died in infancy, and a son Henry L. Cowlin. 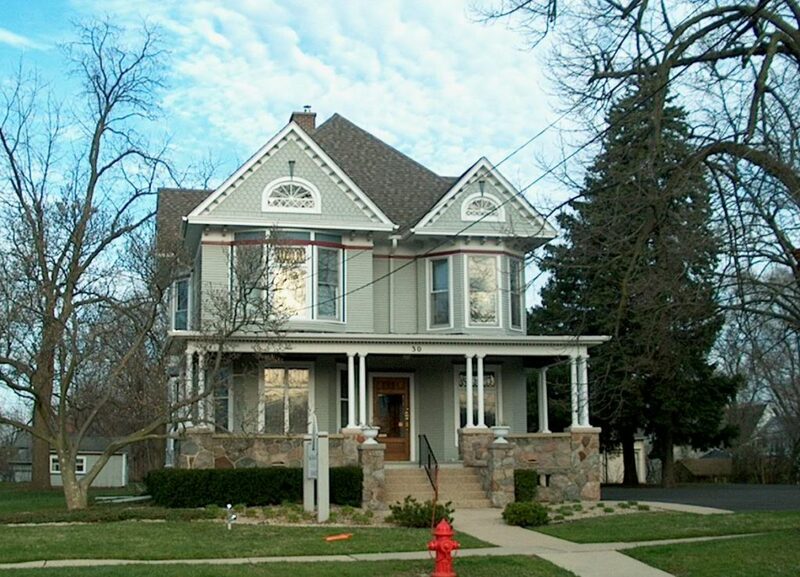 The Cowlin family home, built in 1904 by Sarah Lye, is located at 30 N. Walkup. On her death, she left the house to Henry L. Cowlin. Today it is occupied by the accounting firm of Yapelli, Gioia, & Co. The two-story Cowlin house boasts a beautiful field stone foundation and porch base. Typical of a Queen-Anne styled home, there are numerous gables, decorative shingles, leaded glass windows, and bay windows. The couple’s son, Henry L. Cowlin, graduated from Crystal Lake Community High School in 1911. He then graduated from the University of Michigan and later became a lawyer. Henry L. Cowlin married Emily Gillooley on June 30, 1923 in Chicago. The couple had four children: Henry, Katherine, William and John. 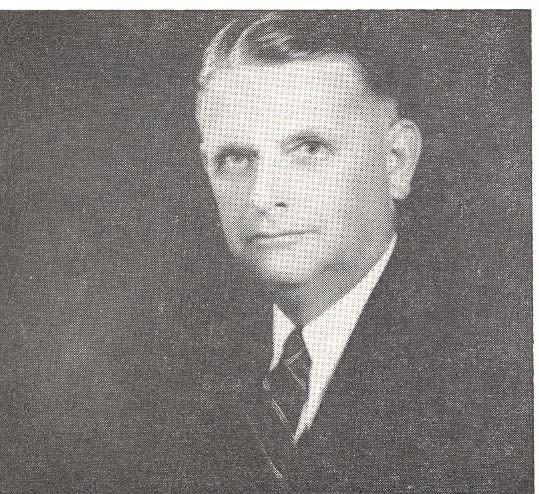 Henry L. Cowlin served as a McHenry County judge from 1936 to 1958. He also served as Attorney for the City of Crystal Lake. An ardent Republican for many years, he was chair of the county Republican Central Committee. Judge Cowlin was extremely civic minded, and was active in many projects throughout the city. Judge Henry L. Cowlin died October 27, 1958. Mrs. Emily Cowlin was also active in civic affairs. She devoted much time to the American Legion Auxiliary, Crystal Lake Woman’s Club, St. Thomas Women’s Club and the Service League. Law and justice runs strong in the Cowlin family. Judge and Mrs. Cowlin’s three sons all studied law and became attorneys. Like his father, Henry also spent many years on the bench as a judge. William was elected and served as States Attorney. The youngest son, John, is currently the Attorney for the City of Crystal Lake.